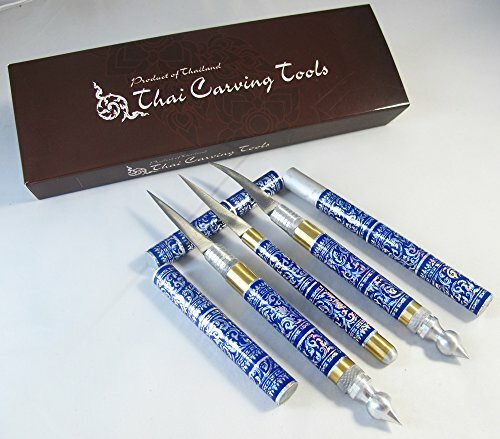 SET 3 THAI FRUIT AND SOAP CARVING KNIFE KNIVES BRASS HANDMADE BLUE COLOR by Unknown at Baking Love. MPN: CAR003. Hurry! Limited time offer. Offer valid only while supplies last. Set of Fruit Carving Knife Product of Thailand. Blade And Scabbard Beautiful Patterns Handle Carving Brass. Perfect for making delicate rose petals.